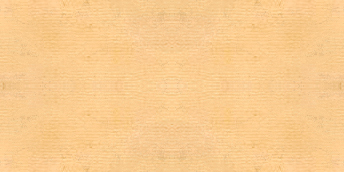 Welcome to BealeTreasureStory.com — published May 11, 2011, by Stephen M. Matyas, Jr.
PURPOSE: The purpose of this website is to disseminate information that expands our collective knowledge of the Beale treasure story, especially information that one day may allow the mystery of the treasure story to be solved. Information on this website can be accessed by clicking one of the links above. New information is added to the website on a continuing basis. The Beale treasure story is described in a 23-page pamphlet entitled The Beale Papers, published by James B. Ward, Lynchburg, Virginia, in 1885. The Beale Papers tells the story of a party of 30 Virginians led by Thomas J. Beale who in 1817 ventured west on a hunting expedition. While hunting, they accidentally discovered gold near Pike's Peak, in present-day Colorado. 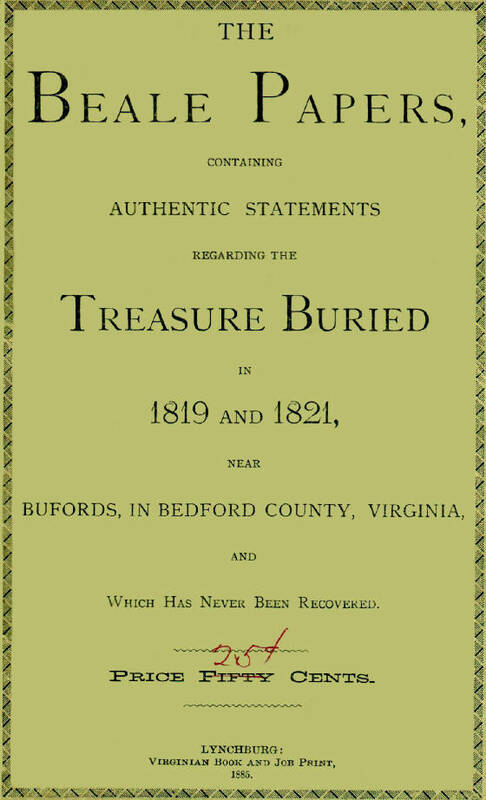 The gold was brought back to the U.S. and buried in Bedford County, Virginia. In case the party should meet with some catastrophe on the open plains, Beale left a locked box in the care of Robert Morriss of Lynchburg, which contained papers explaining Beale's enterprise, as well as three unintelligible papers, which could be read only with the required key that would reach Mr. Morriss ten years later. According to Beale, the decoded papers would state the contents of the depository, with its exact location, and a list of the names in Beale's party together with the names and places of residence or the relatives and others to whom they devised their respective portions. Beale's three ciphers are commonly referred to as B1, B2, and B3. A Brief History of the Beale Papers is provided for those interested in reading more about this intriguing mystery. The website also deals with several issues of greatest concern and on the minds of every person interested in the treasure story, viz. The website contains a list of common misconceptions about the treasure story. It also contains a list of the most common arguments against the treasure story, together with their counterarguments, which are explained in great detail. And, it presents evidence to answer the question "Is the Beale treasure story true?" Is the Treasure Story Worth Reading and Possibly Investigating? The treasure story means different things to different people. Some call it an absorbing mystery that makes very good reading. Others are interested in finding a way to decode cipher No. 1, which contains a set of directions to Beale's vault. To these interested readers, the ciphers are a puzzle, or an enigma, with the potential for a very big payoff—if a solution to the ciphers can be found. At $1419 dollars per ounce (April 15, 2013), Beale's 2921 pounds of gold has a value of about 66 million dollars. We have one item in our "bag of tricks" that was unavailable to residents of Lynchburg and the surrounding area, who purchased copies of Ward's pamphlet in 1885. We have inexpensive, high-speed computers that can be brought to bear on the problem. And, this should not be underestimated. The storyline, as given in the Beale Papers, spans a period of almost 70 years and it fits well with known history. It can be comprehended and assimilated, without difficulty. Many people simply enjoy the "chase" by trying to find information about the people, places and events connected to, or part of the storyline. Much searching can be done via the Internet. And, more and more information is being made available every day, which is certain to continue. According to some, the Beale treasure story is either one of the most clever and diabolical hoaxes ever perpetrated on mankind or it is one of the greatest challenges yet to be conquered by man or computer, and proven true. I think you will agree that no one wishes to spend time investigating a treasure story known or believed to be a hoax. Many people argue that the Beale treasure story IS a hoax, notwithstanding the fact that no one has yet provided any proof of this. Some arguments are just plain nonsense; others are well-founded. Many sound pretty convincing. Yet, I have found that upon careful examination, substantive counterarguments can be found. In fact, evidence exists arguing that the treasure story is true. The counterarguments, as well as the evidence supporting the truth of the treasure story, are given on this website. In my opinion, the evidence "tips the scales" in favor of the truth of the story. I also think that no one wishes to invest their time investigating a treasure story, for which the treasure has, or is believed to have already been located and removed. Some people claim to have solved the ciphers. But the so-called solutions, by well-intentioned people, are unfortunately nearly always nothing more than ramblings or nonsense. In any case, there is no consensus that a valid solution has so far been developed. So why spend time reading, thinking about, and perhaps even investigating the Beale treasure story? Beale put it quite well when he said "the game is worth the candle." As I say, just reading the treasure story can be worth your while. But, you may discover something about the treasure story not yet known or yet perceived by others, and thus you may add to the body of accumulated evidence that will ultimately lead to a solution to the ciphers or to the recovery of the treasure. You might be lucky enough to find a way to break Beale's ciphers. That would certainly be an accomplishment worthy of great distinction. You might even be fortunate enough to locate Beale's vault and perhaps even lucky enough to find that the treasure is still locked away there. Can you imagine how that might feel. The eminent cryptologist William F. Friedman investigated the Beale treasure story for many years. He tried his best to find a solution to Beale's ciphers. But he met with no success. Friedman, who was attached to the U.S. Army Signal Corps, taught a course on cryptography to its members as part of an internal education program. It is said that Friedman would give a copy of the Beale ciphers to his students as an exercise. Friedman believed that fresh, uncluttered thinking by someone very new to the subject might be the crucial ingredient needed to solve the ciphers. That same axiom is still true today—someone readng the treasure story may discover a crucial piece of information that permits the mystery to be solved. Stephen M. Matyas. Beale Treasure Story: The Hoax Theory Deflated, 2011. I also recommend the following companion book, which is a continuation of the first book, viz. Stephen M. Matyas. Beale Treasure Story: New Insights, 2011. (1) The treasure story is likely to be true, despite the many negative and often misconceived arguments voiced against it. (2) Information is crucial. Information will very likely be the "key" to eventually breaking the Beale Ciphers. The books are not a rehash of old stuff; they provide the most up-to-date and new information on the Beale treasure story found anywhere. The fact that you visited this website means that you have some interest in the Beale treasure story. My colleague Dr. Robert Q. calls the new two-volume set "The best read in 2011." Beale researcher, Mr. Jerry Watt, characterizes the books as "... the single most in depth examination of the many mysteries surrounding the fabled Beale treasure story ever written." The books were reviewed by Beale author and researcher Mr. E. J. Easterling. You may find his comments worthwhile. Also, you may be interested to learn what others say after reading Beale Treasure Story. You can also read more about the books.